From the desk of: Adele Sommers, Ph.D. Your boss has committed your team to a big, new undertaking; however, your colleagues already feel that its way beyond their level of expertise. You’re preparing an estimate for a project with a fixed cost and schedule, but the requirements are so vague and poorly defined that you feel queasy just thinking about how you’ll come up with realistic numbers. Your clients are chomping at the bit to get started on a new effort, but you can already see that their timeline is much too short and there arent nearly enough skilled people available to do the job. You’re leading a project that’s ballooning out of control because of scope creep, yet no one knows a firm, diplomatic way to say no to new feature requests, much less prepare a risk assessment. Thankfully, there is a way to estimate and plan highly successful, low-risk projects... even if youre brand new to project management! Over 120 minutes of MP3 audio with two sets of PDF Transcripts & Note-Taking Guides. They offer even more insights into reducing project risks and planning more effectively! The information was so easy to understand that anyone  without any experience in project management  could use it. Its very clear, readable, usable, and practical. I was inspired to use some of it when dealing with some of my recent Womens Community Center projects. I found the worksheets for breaking risks into steps the most helpful. The three-fold process was clear: First identify all potential risks, then evaluate each one individually, and then compare them objectively based on numerical scores. Price: US $67 $47. Click now to get instant access! You will have instant access to this 56-page, PDF handbook that includes a wide range of tools and templates to help you avoid problems with failed projects due to over-optimism, poor planning, or underestimating your project endeavors. Learn to recognize six common project traps and 10 major project risks — that you can now tackle instead of ignore — find 9 tips for more accurate estimating, and many other topics and features that are described in more detail below. Then follow a series of simple, step-by-step instructions on how to work with the risks once youve identified them, using a set of easy-to-use interactive forms that will guide your team every inch of the way, and will also automatically calculate your total scores. Youll have instant access to 2 full hours of interviews that offer in-depth insights into ways to reduce project risks, estimate far more accurately, and plan effectively. These two interviews were part of an 8-week series by Adele Sommers, Ph.D. that were hosted by business training moderator Greg Williams. The interviews include a bonus Q&A session that covers questions about project models, project reviews, handling change requests and scope creep, and how to conduct successful beta testing. Youll instantly access 70 pages of PDF Transcripts and Note-Taking Guides (2 sets), which will help you anchor all of the key points in the MP3 audio recordings. 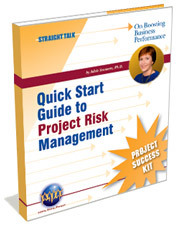 All together, this package will turn your team into project-risk gurus! 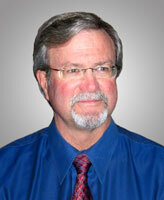 Youve introduced a project and process perspective that is often missing from risk management. For example, the Guide to Painless Project Planning appendix and related planning checklist are particularly helpful in that regard. The Tips for Capturing Lessons Learned worksheet is also a great tool for better anticipating and preventing problems before they arise. For example, by determining the kinds of risks that might surface based on what has already occurred in the past, we can begin to move away from the reactive  and often expensive  mode in which we tend to operate. I thought both the basic and advanced versions of the Assessing and Mitigating Risks worksheets presented a simple, clear, and valuable method for identifying and analyzing risks. I particularly liked the advanced worksheets youve included because they are a bit more comprehensive. They manage to incorporate even more relevant factors, but do it in a very straightforward way. And regardless of how you end up scoring a particular risk, the fact that youre looking at it via a process makes all the difference in the world. I sure wish that I had had something like this when I started managing projects! It would have been a HUGE time and money saver for me to know this stuff up-front rather than having to learn from my mistakes. Among the things I found most valuable were the Tips for Accurate Project Estimating. I also especially like the checklists, templates, and realistic examples, which make it easy to extrapolate quick reference materials for daily use and for inclusion in standard operating procedures, etc. I loved the writing style! You made a (quite) possibly dry subject fun to engage in. I especially liked how you discussed each topic in enough depth to allow for understanding, but didnt go so deep as to cause information overload and possible rejection. Also, the inclusion of both basic and advanced checklists is great. The basic version will help folks new to the process avoid overwhelm, while the advanced version allows for growth as people become more comfortable with the processes. 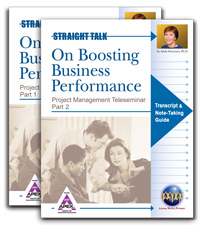 The teleseminar audio and note-taking guide offer a fun way to actively engage users in their own learning. I really liked this aspect, as it happens to be my primary learning modality. With any of my products, you are completely protected by my 100% satisfaction guarantee for one full year. If a product fails to live up to your expectations within that 12-month period, I will immediately refund your money. No questions asked. YES, Adele  I want to order your Project Success Kit right away so that I can start transforming my projects into highly effective collaborations! I also understand that Ill receive an automatic free subscription to Boosting Business Performance, your jam-packed, how-to, monthly newsletter (a $129 value), and that I can unsubscribe at any time. Ill have all the information I need to get started right away. Im also protected by your 100% money-back satisfaction guarantee, so I have nothing to lose. I know that this tool kit will help your team make an immediate difference in your organization. Not only will they propel your projects to greater success, but your teams will be more productive, organized, and optimistic. Furthermore, your reputation for deftly handling project challenges will soar! And don’t forget that you have one full year to try it out  risk free  so you’ll have everything to gain and nothing to lose! Legal Disclaimer: Every effort has been made to accurately represent our product and its potential. Any claims made or examples of actual results can be verified upon request. The testimonials and examples used are exceptional results, don't apply to the average purchaser and are not intended to represent or guarantee that anyone will achieve the same or similar results. Each individual's or organization's success depends on individual backgrounds, dedication, desire, and motivation. As with any business endeavor, there is an inherent risk of loss of capital and there is no guarantee that you will earn money, increase profits, or achieve specific results.